Vietnam is blessed with massive amounts of breathtaking beaches, colonial structures, sparkling bays, colorful culture and stunning landscapes. This is why the country seems to call to couples, and there is more than enough reason for this to be the case, as honeymooning in Vietnam offers everything from UNESCO listed world heritage locations to bustling cities with nightlife, amazing rice paddy fields to huge caves that host private dinners. Motives to head to Vietnam for a honeymoon! First of all, when it comes to costs, Vietnam is actually an inexpensive location. 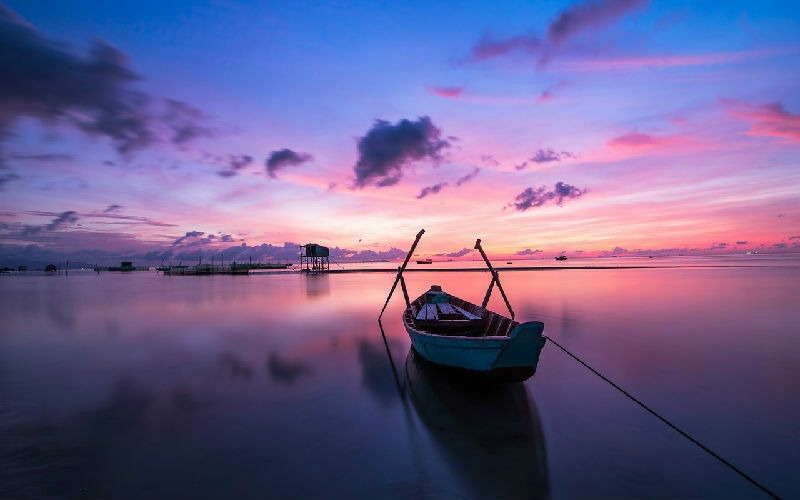 Vietnam could be one of the most inexpensive Asian honeymoon destinations which provide holiday experiences that can be compared to more luxurious destinations. Restaurants and hotels are fairly inexpensive, cheap flights are available and internal transfer costs are actually quite low. In spite of being renowned for being economical, restaurants and hotels do not tamper with the quality of their services. Actually, the staff makes here that customers do not encounter any form of troubles or issues on the Vietnamese honeymoons. Vietnamese food is quite simple so exquisite that it can't be forgotten. With a wonderful blend of sweet, sour, salty and hot flavors, Vietnamese cuisine provides numerous mouthwatering dishes. Chili sauces, fresh herbs and the finest vines all on a side platter make Vietnamese cuisine perfect for rooftop dinners or splendid beachfronts all with amazing views. There are quite a number of places to head to in Vietnam while on a romantic getaway. Beautiful valleys appear to top the list. Grasslands, rice fields and a plethora of flowery hues found in the numerous valleys are wonderful for honeymooners in Vietnam. 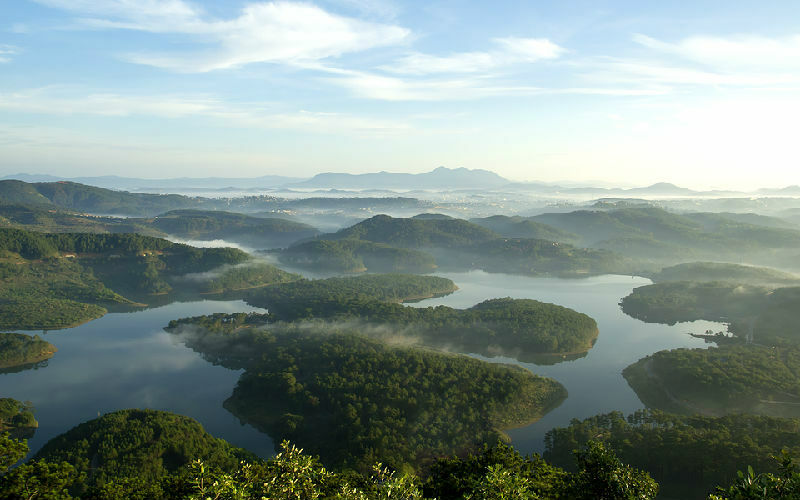 Dalat is a great valley that is located at about 1500m above sea level in the Vietnamese south central Highlands. The rolling mountains are blanketed with pine trees, which make it one of the best romantic spots in Vietnam during the spring and the summer. Who is it perfect for: lovers of cool weather, woodland solitude and older couples. Why it's a perfect honeymoon location: Dalit is an authentic spot, as the while the city has the regular tourist traps, Ana Mandara has been able to keep most of the romantic parts the 1930s brought. It was a time when French officials weary from administrative duties retreated to the tree covered Highlands for a bit of R&R. The duration you should stay: 3 days and 2 nights should be sufficient time to discover the grounds while trying out the wonderful breakfast buffet, be pampered with a massage at the La Cochinchine spa, or head over to l explore the center of the city. To get the romantic experience: visitors can take a ride in paddle boats shaped like massive swans over at Xuan Huong Lake, take a walk to explore the numerous flower gardens or see the beautiful waterfalls situated nearby. After, you can contact us for a super customized tour! 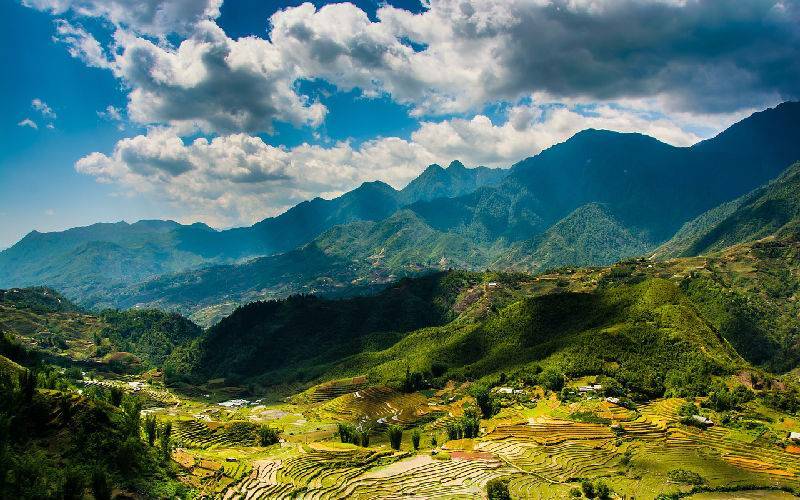 SaPa's majestic valley is undoubtedly one of the best honeymoon spots in all of Vietnam. Even though it faces stiff opposition for visitors from the colorful terrace rice paddies, flowing streams & Mount Fansipan which is 3143 meters high. SaPa has been able to attract solo travelers and families, making it the spot honeymooners visit in all of Vietnam. To get romantic experience: it is best to visit the Fansipan Mountain and Muong Hoa Valley to witness the scenic views, while also going to Love Fountain to enjoy it's waters or head up to Heaven's Gate. All these can be customized according to your interests, schedule, budget and hotel taste etc. Contact us for a super customized tour! There are numerous amazing islands and beaches to be found in Vietnam, which present a pristine, beautiful and of course romantic scenery. For a romantic experience: take a deep dive into the sea and discover the wonderful corals. Reason for it's a good honeymoon location: this is a wonderful spot for honeymooners as it is accessible via a 45 minute charter flight which goes from the Vietnamese capital Ho Chi Minh City, right to the Con Dao Island. For honeymooners want the full luxurious experience, a car can wait to pick you up at the airport. The Duration of a stay: If a chartered flight is the way visitors plan to visit, it is best to stay at least 3 to 4 nights before heading back. Con Dao is a luxurious honeymoon destination that is sure to have visitors coming back. Phu Quoc is one of the newer honeymoon locations in Vietnam, which boasts unspoiled remote beaches and magnificent natural beauty. This peaceful paradise is located in the warm blue waters of the Thai Gulf and can only be accessed by a plane or a boat. To get the romantic experience: breathtaking sunsets can be had on beautiful beaches, mountain or jungle hikes. For the ocean lover, corals can be explored by diving into the beautiful blue water. Halong Bay holds mountain islands shaped like nails which seem to just emerge from the turquoise water which seems to mesmerize the tourists that witness it. This is probably why this region gets a mention on the list of world heritage locations by UNESCO. The wonderful setting also makes it an extremely sought out honeymoon destination in Vietnam. For a romantic experience: take a cruise on the water past the amazing limestone islands, take a dip in the shimmery waters and take in an aerial view resting easy on a seaplane, or for those with a sense of adventure, parasail. 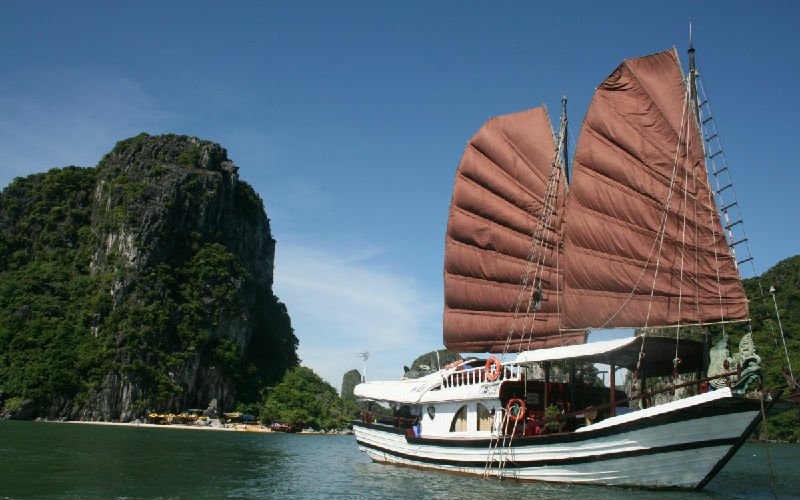 Tours for inspiration: most of Vietnam tour would miss Halong bay. It's a landmark of Vietnam. The best plan is to stay overnight on board and wake up with the early bird singing on the sea! Best place to whisper with her/him. You can tell our consultants what you like and we will arrange for you! Mui Ne, which was once a fishing village with more quiet and relaxing days has reshaped itself into a destination for surfers and beach lovers alike. 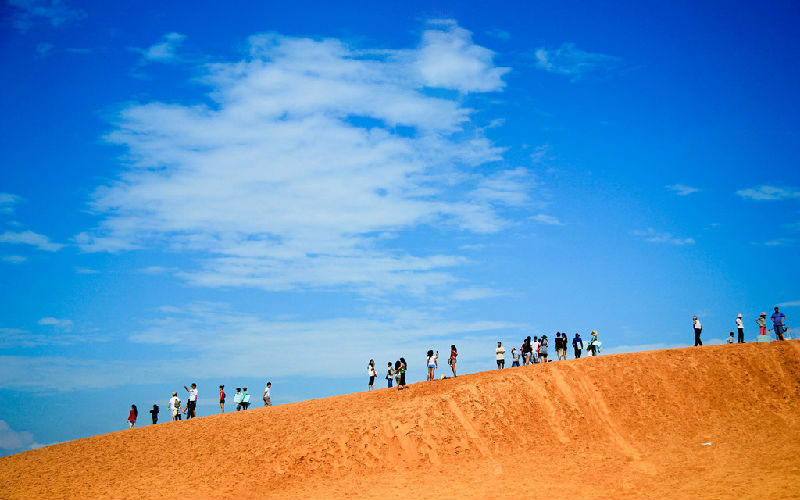 It offers a unique view of a desert by the sea thanks to the formation of white & red sand dunes by the oceanic wind. If you're looking forward to a romantic experience; take a walk to the Long Beach sand from the villa. 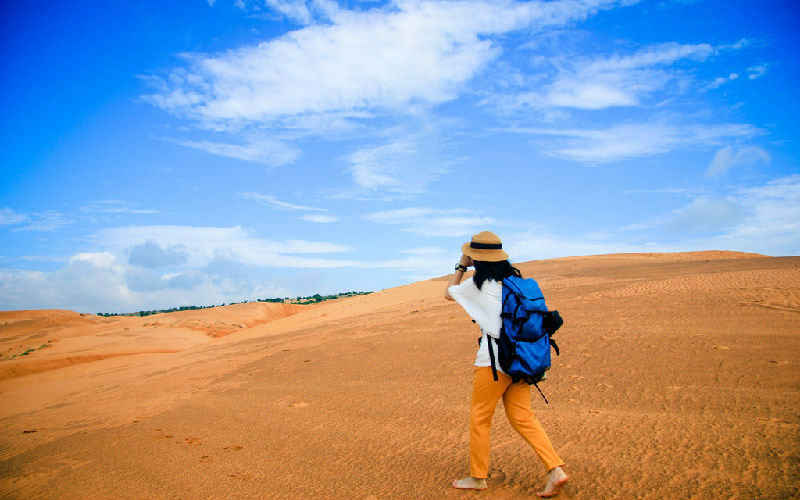 Once there, you can choose to climb the sand dunes, swim in the ocean azures, or simply take a ride on an ostrich. You can visit 3 southeast countries at a time! Click on the links in the article for more information.